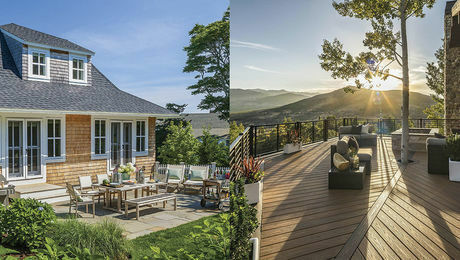 Decks and patios are coveted spaces in many American homes, providing a comfortable middle ground between indoors and outdoors. Add a roof and you have a porch that can be enjoyed even when it’s raining. 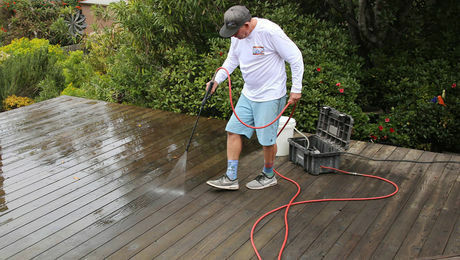 Decks are a blank canvas. 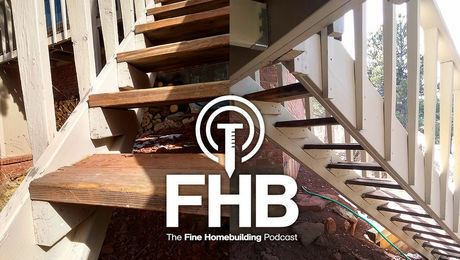 Given the same amount of square footage, the choice of materials, how the decking is installed, and details like railings and stairs can produce startlingly different results. 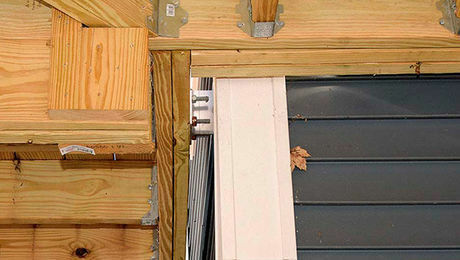 Professional deck installers know how to manipulate these elements to produce the effects homeowners are looking for. For ambitious do-it-yourselfers, it may be a process of trial and error — or doing a lot of looking and reading. Because decks typically take a beating in the weather, and because decks often accommodate a crowd, getting the construction details right is essential to both durability and safety. This includes making accurate load calculations, choosing appropriately sized lumber and fasteners, and following established building practices to put it all together. Patios have their own challenges: what goes under the surface is just as important as the concrete or stone pavers you choose. 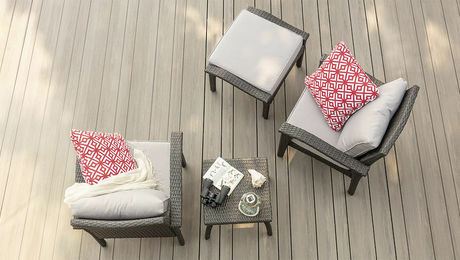 Pergolas, gazebos, outdoor lighting, fire pits, hot tubs, and other enhancements are ways of turning basic decks or patios into more polished, and useful, spaces. Where do great ideas for these spaces come from? Firing up Instagram or flipping through coffee table books is a great place to start. Turning those flights of fancy into a dependably built reality is where Fine Homebuilding comes in. 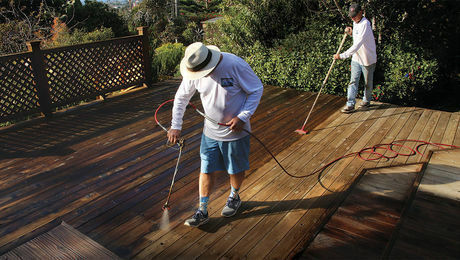 Professional deck refinisher Jim Grant built a custom spray rig with an electric pump as an easy-to-use alternative to the typical hand-pump garden sprayer. 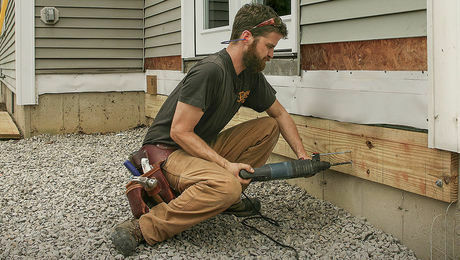 Builder Mike Guertin outlines code-compliant ledger and lateral-tie details for all types of deck builds. 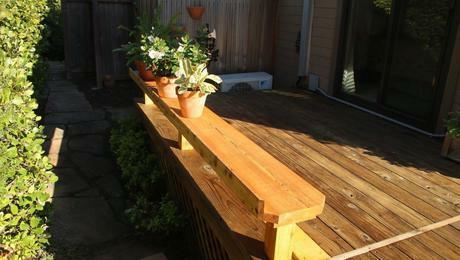 This easy-to-build deck accessory prevents runoff water from plant pots from rotting your deck boards. 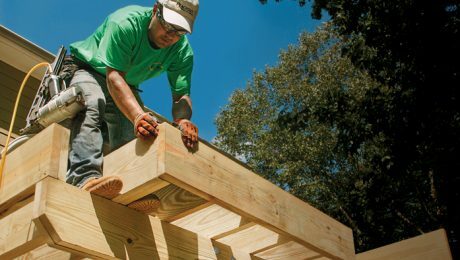 Joist hangers are almost always required when building a deck—here’s how to install them correctly. 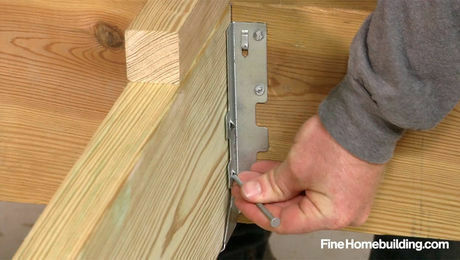 Securely fasten stairs, decks, porches, or any other exterior structural detail with these rugged aluminum brackets.